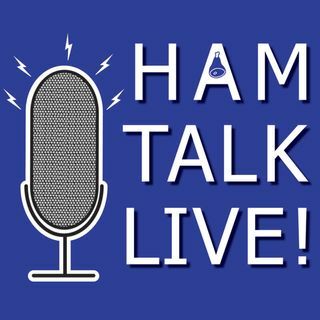 Episode 7 - Rosalie White, K1STO - ARISS | Ham Talk Live! Rosalie White, K1STO joins us to talk about the Amateur Radio on the International Space Station program sponsored by ARRL, AMSAT, and NASA! We take a look back at the program, celebrate the recent 1000th QSO, and look at the future of ham radio in space and a way YOU can help! And, a word from our new sponsor, Spray Away! Love this show. 73 de KF4NOD. Thanks, Jason! Glad you guys are doing great things out there! Hope to hear you on SCR again soon. Neil, great to listen to your conversation with K1STO, enjoy your podcast! 73, Jason Burns KE0BEO, K0UND President.